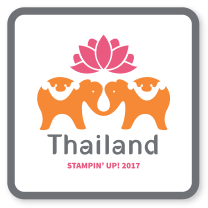 Have you missed stamping with me? Well, guess what? I've missed you too! Terribly! But I have exciting news!!! I'm filling my fall schedule with fun new classes! 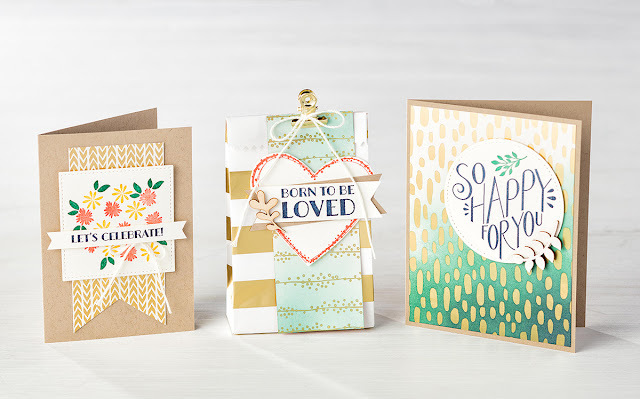 If you are someone (or know someone) who loves gold accents, don’t miss my class this month where you can make these three projects featuring the Bundle of Love Specialty Designer Series Paper. I’ll teach you two sponging techniques and, as an added bonus, I’ll show you how to turn a flat bag into a gusseted bag! The class fee is $25 and includes a package of the Bundle of Love Specialty Designer Series Paper and the Touches of Nature Elements that you’ll use to create these stunning projects, with extra left over to take home and create more! Please RSVP by September 15th to allow me enough time to order supplies. This class is also available by mail! Just add $6.45 for Priority Mail shipping. Tutorial videos will be emailed to you to view at your convenience.